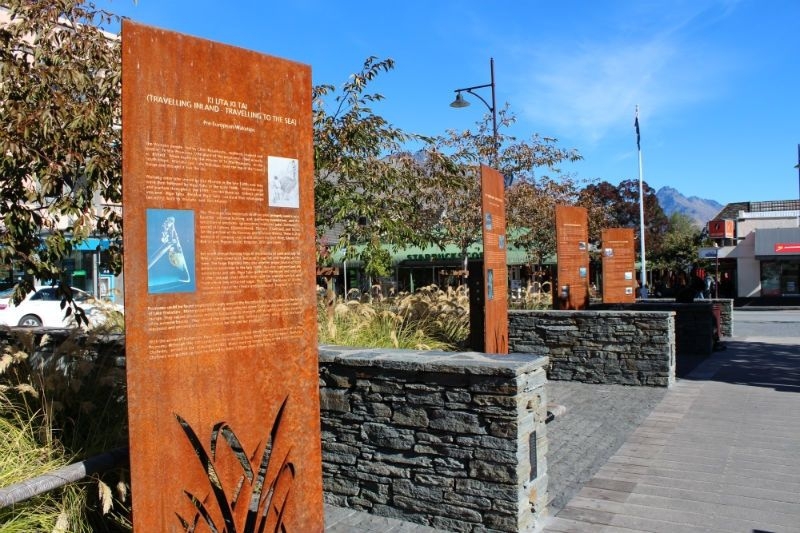 Take a look at the information panels to learn all about the history of Queenstown. 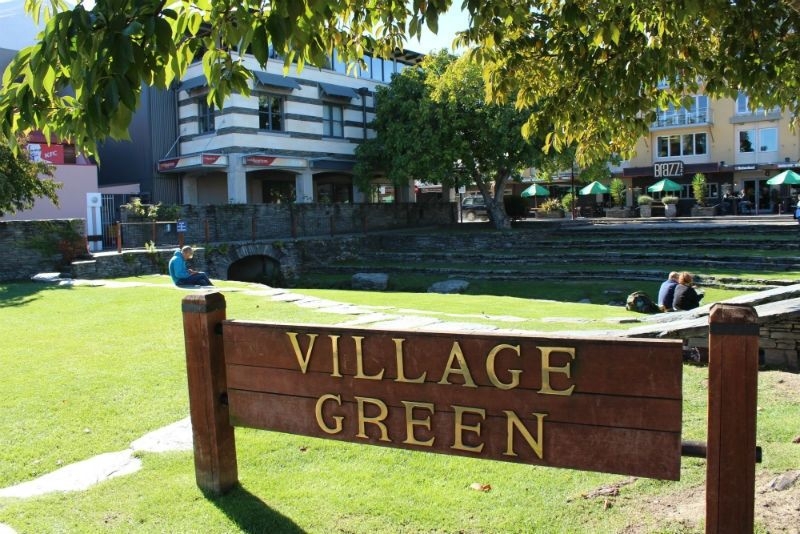 The Village Green is a central feature of Queenstown. 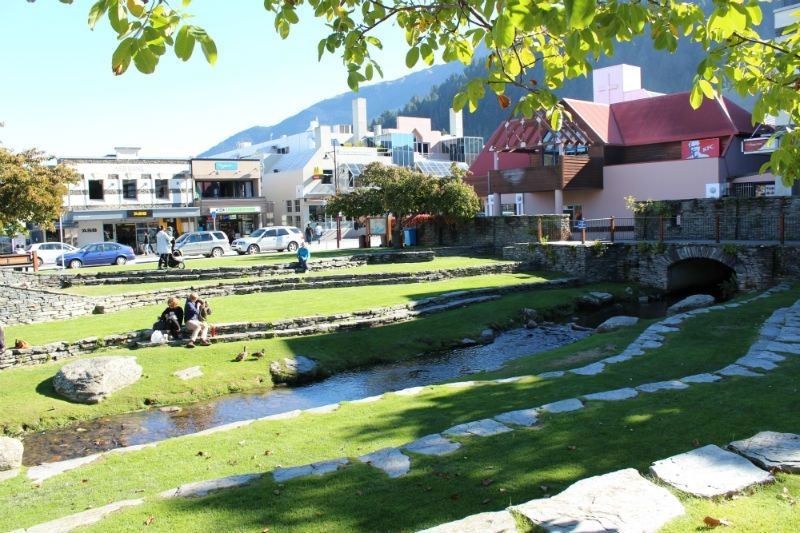 With terraced lawns and Horne Creek running through the centre of the green, it's become a popular spot to relax at lunch times. 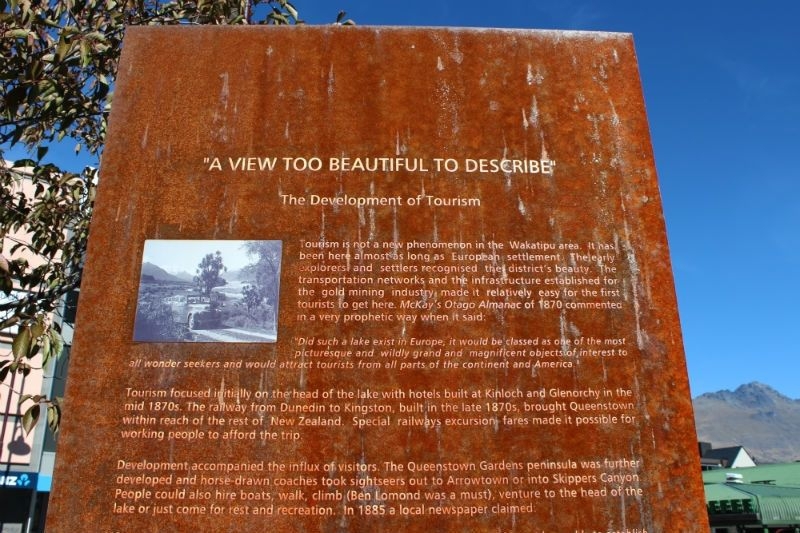 There is a modern seating area and a number of information panels that explain the fascinating history of the town. 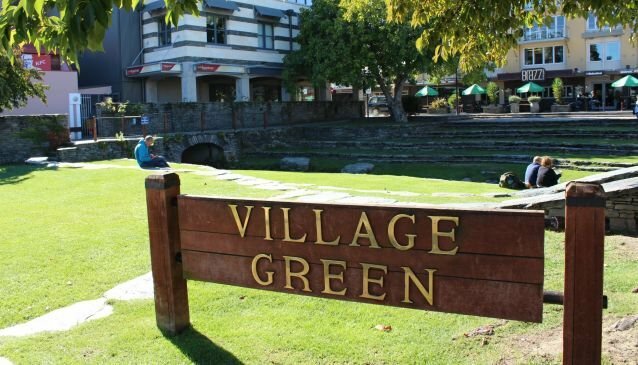 The green overlooks the main shopping streets and is close to a number of the bars that all have outdoor seating areas to take advantage of the location. 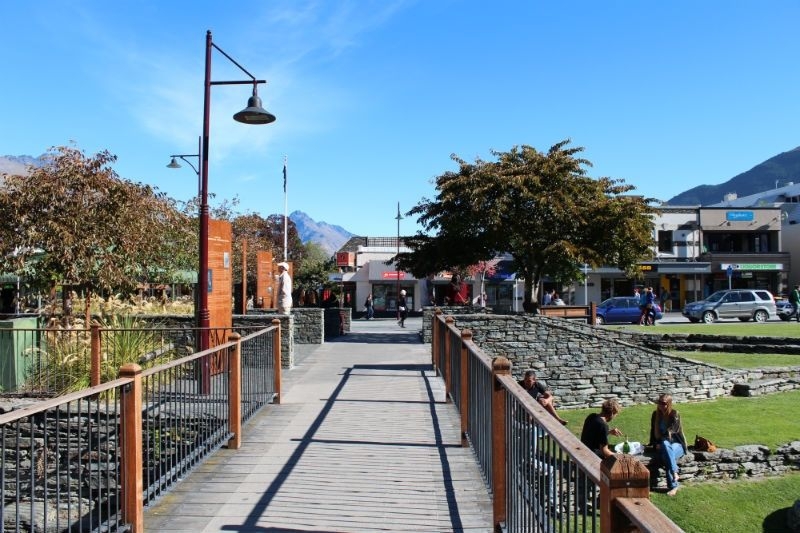 In the late afternoon, 1876, Brazz, Pig and Whistle and Speights Queenstown Ale House all offer 'happy hours'. 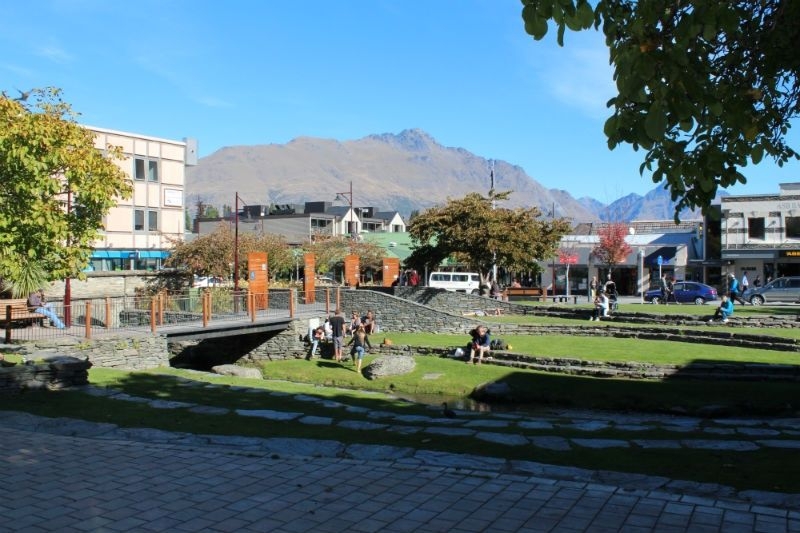 With the well maintained lawns, a view of the Skyline Gondola and Remarkables, the Village Green is a great place to enjoy a drink and enjoy the postcard setting. 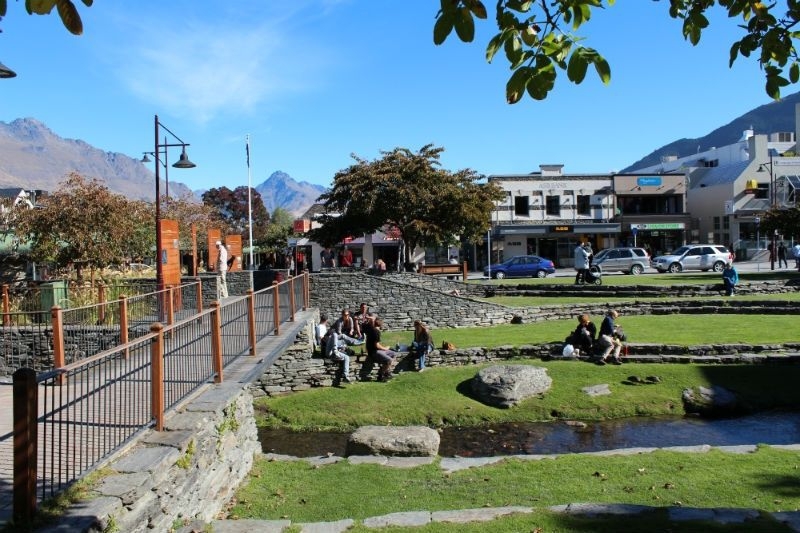 During the Queenstown Winter Festival in June, the Village Green is turned into a mini ice rink much to the delight of the younger ones.